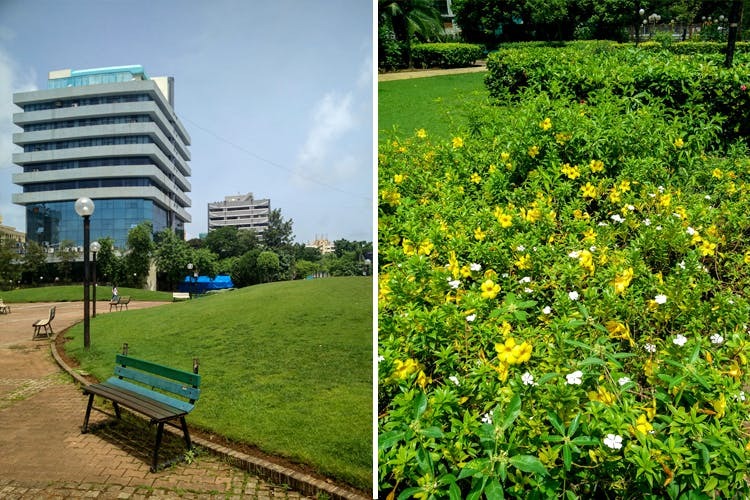 Have you been to this green patch in the middle of BKC? If you haven’t, take a stroll with us. If you thought BKC was just about tall flashy buildings and long roads, you need to visit it, one more time. There exists a green patch, Bandra City Park, bang in the middle. Assuming importance as an urband green space, the park is lined with well constructed pathways and gazebos and seating. There’s also a giant chessboard and a recreational area for you to lounge at. The park is often thronged by professionals working in the area, kids and families. The paths host fitness enthusiasts and the gardens, leisure seekers. In case you are looking for a wedding venue, you can host it here. Contact authorities for more details or this link. If you’re looking for a quick break from your work or a quick run after, this park is the place to be.